As the fashion world goes crazy for denim in all shapes and sizes, savvy shoppers are looking for something so cool, so utterly unusual to mix and match and turn their everyday jeans, dungarees or jumpsuits into something totally sensational.. This stunning Set is transformational. Its sheer class and elegance take it off the scale in the glamour stakes. But don't take our word for it. Picture your jeans and a cami-top or vest then add Divinely Denim to the mix and you'll see that it's no longer ordinary, but extra-ordinary! And of course, the cool blue hue does wonders for white and pastels in the Summer and dark colours in Winter. 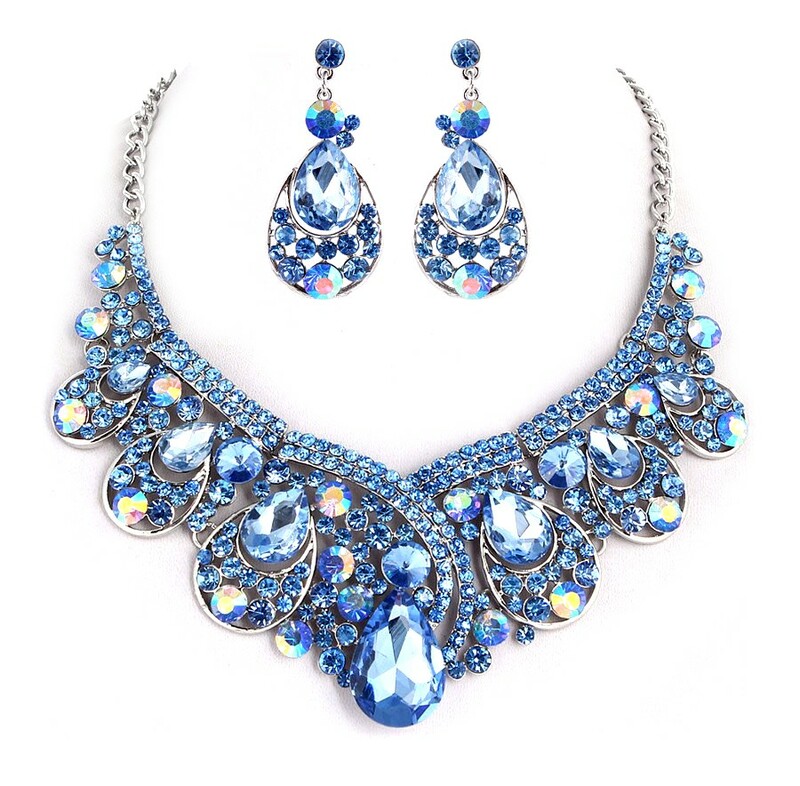 What's more the Set is created in the finest Austrian crystal giving you a dazzle factor that shines like diamonds! Sizes: Necklace Length:Approx.5.3cm(6.02") wide by 11.5cm(4.53") long Earring Size:Approx.5.2cm (2") long by 2.5cm (1").